Mixes easier, faster for stronger lighter weight art. Mix as soft or firm as desired. 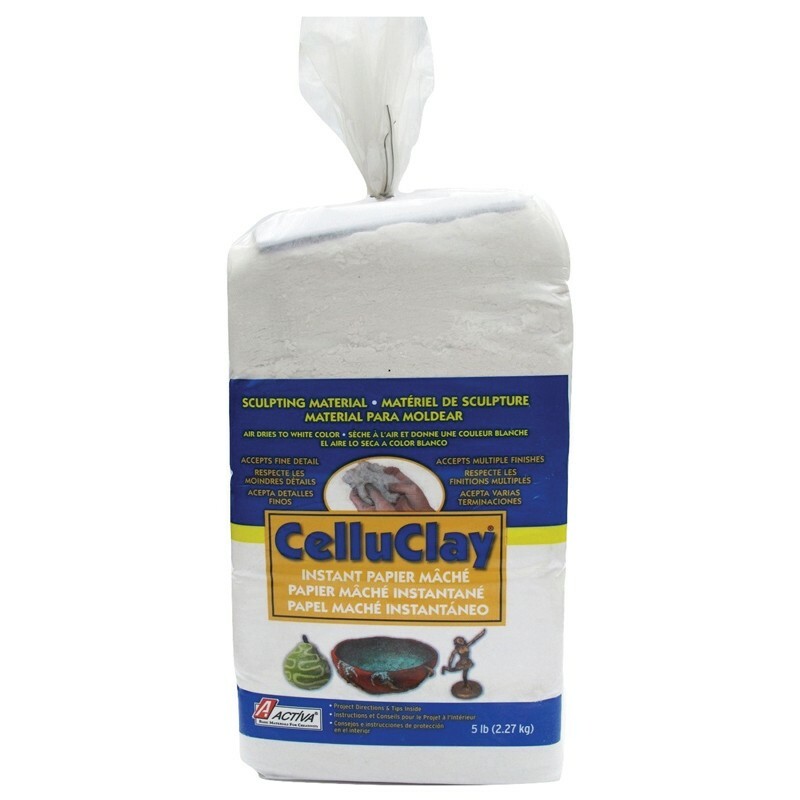 Works like clay, modeled or slab; as a paper pulp and more. Air dried evenly to superior hardness. When dry, can be sanded, sawed or drilled. Takes any glue or nails Likes all paints and finishes. Non toxic.